Black Holes as Gentle Portals? Pop the cork and pour the champagne. The last book in the Terran Trilogy is published. Weight of Gravity. By me. Now I just how to figure out the marketing and letting my readers know about it. Spread the word. A lot of advisors urge authors to begin marketing months in advance, but it worked out better that no firm date was set and no program was in place. That would have been embarrassing because the Beta readers delayed, my cover artist had life setbacks, and the holiday interrupted my work. Then the editing began. And now, the final publishing date has been made all the sweeter. YEA. In this final Terran version, Elise lands on the planet Alysia, but her start there is a struggle. Terrans and Alysians clash. The Alysians abduct several female invaders to sell into a slave ring, and Richard Steele is called upon to find them and get them back … two from the harem of Khalib Allfyre. I love a desert adventure. But that is the least of his problems. Time-traveling daughter Tempest shows up from the future to warn him of a probable attack from hostile aliens. He scrambles to once again set up a defense for Alysia. This time, the ships are identified as part of the Fleet of the Fallen, the ships that attacked both Elise’s fleet and Braden Steele’s ships. Definitely hostile, they are searching to take over Alysia and make it their own. I love this story and there’s a lot of action and character interaction in it. But I do want to stand on my soapbox and rant a bit. Because when you have a blog, you can … judiciously. When an author writes science fiction, he or she deals a lot in imagination mixed with science. Some of that science, such as wormholes, faster than light travel, and other stuff is accepted in the science fiction circles while not fully proven in the real realm. One thing I hear constantly repeated in the many documentaries I view is the scientists saying that what they found was not what they expected. I’m amazed at how new discoveries are radically changing our knowledge and vision of the universe since my days of studying astronomy in high school. Even worse, my father earnestly said that we would never leave the Earth because we didn’t have enough power to get the velocity to escape Earth’s gravity. And, our knowledge continues to expand as we send out more and more probes and craft such as the Voyager 1 and now Voyager 2, which just left our solar system for interstellar space. We’re finally getting out there for a better look, but the going is slow due to the vast distances we have to travel. Until we see up close, then, we can’t know for certain what a black hole is or how it reacts. In fact, not many years ago, they were considered merely theoretical, and non-existent by some. Now we accept them, and in fact, scientists are saying there is one at the center of most solar systems. They also add that there are several types of black holes, each with different behaviors. After reading the following report, I decided to include a black hole in my first book, A World Too Far, because, it was just too juicy an item to leave out of a spacefaring story. Because this genre is called science fiction, I wove the known science and my imagination together to serve the story. Ask Ray Bradbury if that can work. But a few readers protested the scene. What I want to say is that we know very little about black holes, even now. In fact in the following link, Gauray Khanna, Professor of Physics at the University of Massachusetts Dartmouth and his Ph.D. student Caroline Mallary built a computer model in 2016 that captured the essential physical effects on a spacecraft, or any large object, falling into a large rotating black hole like Sagittarius A. Professors Khanna and Lior Burko have been investigating the physics of black holes for over two decades, so they are not novices to the subject. In the film, Interstellar, Cooper (Matthew McConaughey’s character) survived his fall into a supermassive rotating black hole. No one blinked. No one ranted. The response was…science fiction… how interesting. At least as far as I’m aware. So, believe it or not, I do a lot of research for my stories, and then add in imagination that serves the story. In fact, for Weight of Gravity, I used an actual transcript from a shuttle launch at NASA to try to get the dialogue right. Okay, I’m going to step down. But I want to point out that there is a lot we still have to learn about our universe and possible other universes out there, and no one has all the answers yet. But isn’t it fun to speculate? Spring is on its way. Unfortunately, this weekend, so is possible snow. A million people converging on the area, and he plans to drive somewhere to view it somehow. Details were sketchy. Heaven help me… And it did. I was moaning about this turn off events while bringing in the garbage cans, when my neighbor (doing the same) offered an invitation to join her and her husband at their place in Pacific City. We can leave a day or two early and hopefully miss some of the traffic. They are fun to be with, and what at first sounded like a disaster, is turning into wha t could be a very memorable weekend. It is exciting to be in a place where such a unique astronomical event occurs. This week I finished Edge of Dark by Brenda Cooper. It was nominated for the Campbell Award. I must mention that it is tied to previous books The Creative Fire and The Diamond Deep. I was unaware of this until I encountered a rant by a reviewer on Goodreads. Frankly, it didn’t disrupt the story for me at all. In my own series, several of the books are separated by spans of time and are also stand alone stories about future generations of the originals. Charlie stands for the environmentalist. He is a ranger on a planet called Lym that at one time had been mined and polluted. Under the rangers’ care, the wildlife and environment are being restored. The wildlife, however, can be very dangerous and the planet represents raw nature. Nona comes from the Diamond Deep, an immense space station out in the depths of space. Her mother is dying, her father dead. Both were too late to receive the cocktail of life, now given to their daughter. Upon her father’s deathbed, she promises him to see a sky and watch a sunset. As her mother is dying, she reminds Nona of this promise and asks her to talk to a powerful relative, Saryana. Reluctantly, Nona does and learns that she owns her own spaceship and an inheritance. She’s rich. Saryana directs her to Lym and hires Charlie to be a tour guide for the young woman so she can experience what a planet feels and looks like. Charlie expects her to be a spoiled rich spacer, but of course, I smiled as I watched a bit of impossible romance bloom between them. Nona’s best friend is Chrystal who lives in the High Sweet Home, an outer ring space station. She lives with three others: two men, Yi and Jason, and her friend Katherine. They are scientists living in a commune and breeding genetically modified stock. Outside beyond the dark are the banished cyborg and artificial intelligent robots that call themselves the Next. Far more intelligent than humans, and physically able to modify themselves, they do not need to eat, sleep or breathe. 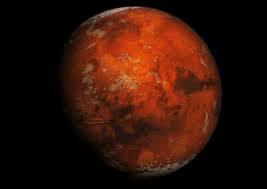 They are powerful beings who want to return and claim portions of planets, such as Lym, for the metal resources there. They capture the High Sweet Home and take Chrystal and her group, destroy their human bodies, and download them into robot bodies that resemble their original form to use as liaisons with the humans. Chrystal’s chapters are chilling. They are first person narratives where the reader experiences the emotions of a human mind forced into a powerful mechanical body against her will. Not all survive the transformation, and in fact, Katherine doesn’t make it. The Next make the three, Crystal, Yi and Jason their ambassadors and lure Nona out to the Diamond Deep to save her friend. Charlie is persuaded to go as Lym’s ambassador. Since he’s never been off planet, adjusting to space is a challenge for him. Brenda Cooper neatly presents all sides of the artificial intelligence debate. Charlie is the human who wants to keep his planet pristine and natural. Nona is the child of ship and station who only knows life in space. Chrystal experiences the vicious prejudices of the terrified humans who call her a thing and refuse her humanity. Even her own mother repudiates her. And Jhailing is the robot who teaches Chystal to survive her difficult transformation. She learns to speak to the other robots using a kind of mental telepathy. No longer does she need to eat, sleep, or breathe. Her powerful body can pick up a human and kill him with a throw. As many humans who are repulsed by the robots, an equal amount are intrigued with the thought of becoming a robot in order to gain immortality, great intelligence, and the strength of such a form. The reader gets a glimpse of the frightening things that the shadowy, more advanced robots can do, including shape shifting and duplication and wonder at their true purpose in returning. The humans are given a choice of Uphold, Allow or Help as the council votes on their human response to the approaching fleet of Next. The Spear of Light continues the story. Also, Cooper just released in June, The Wilders. Monday the world will go dark in the middle of the day. A reminder of the frailty of the human species in a powerful universe. But it will only be for two minutes, and the sun will return. President Trump will tweet something, and somewhere a terrorist or protester will commit a violent act, and we’ll return to the insanity of our vulnerable world. With only science fiction to warn us that we should behave better or face the consequences. Which means I can stay in and read or write. The writing has slowed down as I’m trying to figure out how to get the the next series of events down on the page in an interesting fashion. Debates rage in writing circles on whether to be a pantser (writing by the seat your pants) or an outliner. 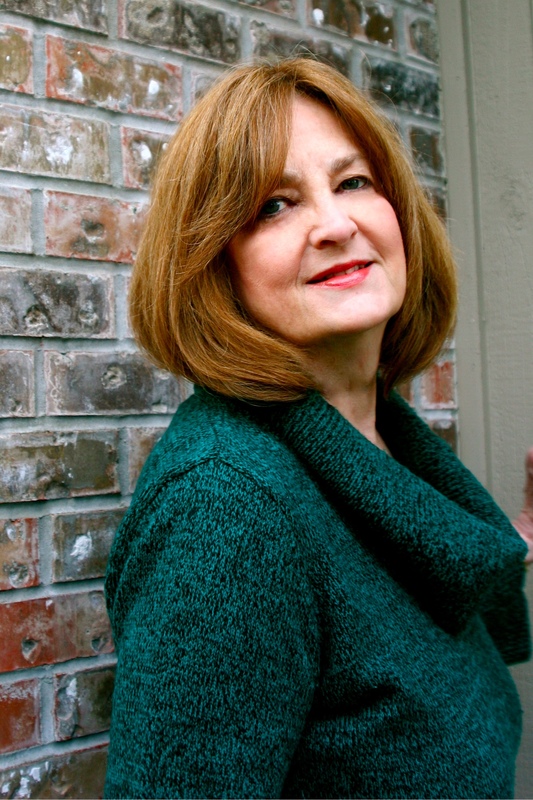 For me, I do a broad outline and then charge ahead, putting myself in the head of my characters. Often they present surprising twists and turns in the action. I’m involved in one now and scrambling to see how my main character is going to get out of the pickle he’s got himself into. It all makes writing fun. I’ve been reading too. I usually put together a list of ten books to read throughout the new year, but this time I’m having difficulty coming up with an exciting list. I keep going back to authors that I have enjoyed in the past. I made a conscious effort to try new self published works last year and kept getting disappointed. Giving reviews became frustrating, particularly since I was not getting reviews myself. I’m wondering what’s happening to book marketing. If you’re not tied to a large publisher with a big fan base, then book signings are not worth the time, expense or effort. I found add sites very effective for a while. Lately, not so much. As a reader, I’m not seeing exciting offerings and as an author, there are some I have used several times and my return on investment isn’t as rich as it used to be. It feels as if ebooks are becoming more and more devalued. We probably brought it on ourselves with all the giveaways and promotions. But, hey, you have to get out there and offer something worthwhile to pique a reader’s interest. If you don’t put your name out, no one will know about you. I really feel these are great stories that readers will enjoy if they got to know about them. As for other books… I still feel it is important to suggest good science fiction and, occasionally, fantasy. I want to keep a dialog going. This week, I read a book that caught my eye when I was library browsing. Publishers price new books expensively and often make them only available in hardcover for the first year. But, of course, those books are often found in the library for free. I picked a new book co-authored by Ryk Spoor and Eric Flint. Both are well known midlist science fiction authors. Their most recent book, Castaway Odyssey appears to be a later book in the Boundary Series, but I had no trouble with reading it first. The story goes: Sergeant Samuel Morgan Campbell finds himself in a desperate situation when their starship the Outward Initiative shatters and disappears, leaving him and four boys on board a lifeboat during a practice drill. Outside on the hull, inspecting their actions for the drill, Ltd. Pearce Halley sustains life-threatening radiation exposure. Unexpectedly, the Sargeant and his untrained crew find themselves stranded in the depth of space, light years from any known colony, and with all electronics dead on the cramped lifeboat. Boys ranging from Xander, recently graduated at the academy, to Francisco, who is an emotional nine years old, Sergeant Campbell has to calm and manage the occupants in this life-threatening situation. For fans of McGyver, this book is packed with interesting science written in an easy to understand manner as the novice crew has to repurpose equipment and find a way to survive far from any help. The second half of the story continues the survival theme once they discover and land on an unknown planet. Here, the reader gets a taste of the Swiss Family Robinson story as the crew now battles a dangerous alien planet that throws several lethal surprises at them. I enjoyed the book as a light read with a YA flavor. It is always interesting to see what an author considers important in a survival situation in space. It does not have the detail and intensity of The Martian, but may appeal to that audience, nonetheless. Currently I’m writing about space travel. It’s a story called Worlds too Far and has been a blast to write. I had the convoy of ships stop at an asteroid field for water and minerals…then I saw this great article on space.com. Also turns out that oxygen has been found within a comet. There’s more out there in space than man can imagine…. except for we science fiction types. This month I’m back to marketing. I will be trying out the Amazon Countdown for Caught in Time January 22 thru 29 and combining with Booksends on January 22 @ 99 cents and Bargain Booksy @ 99 cents on the 23rd. With Countdown, the price goes up every two days so get in early for the best price. I like that doing it this way encourages readers to act immediately rather than put off a purchase. Caught in Time is my first book, although often I’ve said that with time travel you can read any of the the first three and be fine. Each book in the series has a stand alone story. I’ve tried to model Lois McMasters Bujold’s concept of a series having a timeline with each book complete in itself. November’s marketing strategy turned out well using Booksends for Cosmic Entanglement and carried over into December where I was too busy to do much marketing. Now’s a new year and I want to keep momentum going. Figuring out marketing is difficult. Personal signings require a large local fan base and craft shows aren’t always successful. Having said that, one of the authors in my writing group sold 70 books at a local book fair over the holiday. So, you never know. The word got out. This week I’ll report on one of my 2016 selections. A lot of people have read this to mixed reviews. It is different– Urban Fantasy with a background of paranormal. Voice. Sometimes a story has a character with a distinctive voice brought on by unique dialogue and particular behaviors. Bone Clocks tells a story unlike any I’ve read in speculative fiction. Actually, it’s four sections told from different viewpoints that intersect each other, going from 1950 to the far future. The start is the strongest part of the book, as fifteen-year-old Holly Sykes has a row with her mother and hies off to live with her boyfriend only to discover him in bed with her best friend. A fifteen year old, torn by betrayal, doesn’t stop to consider the dangers and struggle in store for a homeless and penniless young girl as she runs off aimlessly and grief-stricken. But Holly is no ordinary girl. She hears “radio voices” and, as a young girl, was visited frequently in the night in her bedroom by a strange and ghostly woman who would have conversations with her. Something is going on behind the curtain, but Mitchell is shy about revealing all too soon. We skip to Hughe’s part in the story. Hugh Lamb is the opposite of Holly. A rich kid at university with low morals and a clever mind, Hugh manipulates his friends, eventually causing one to suicide. In the end of the second section, he briefly meets up with Holly but selects to follow strange, shady beings who promise immortality and awesome power. We leave the dangerous Hugh tripping off with his new companions. The timeline then continues with Ed, a wartime journalist and Crispin, an embittered author, past his prime. Eventually two factions reveal themselves in the background. One powerful and immortal faction fights for the survival of humankind; the other immortal aliens, are trying to consume humans. The ending is a bit of a let down and confusing for me. However, the strange and powerful immortals in the background fighting for power while only certain human with psychic powers are aware was interesting. Still, if you are looking for a different slant to a speculative novel, you might enjoy the Bone Clocks. Some readers did; some didn’t. You can’t do it alone any more. 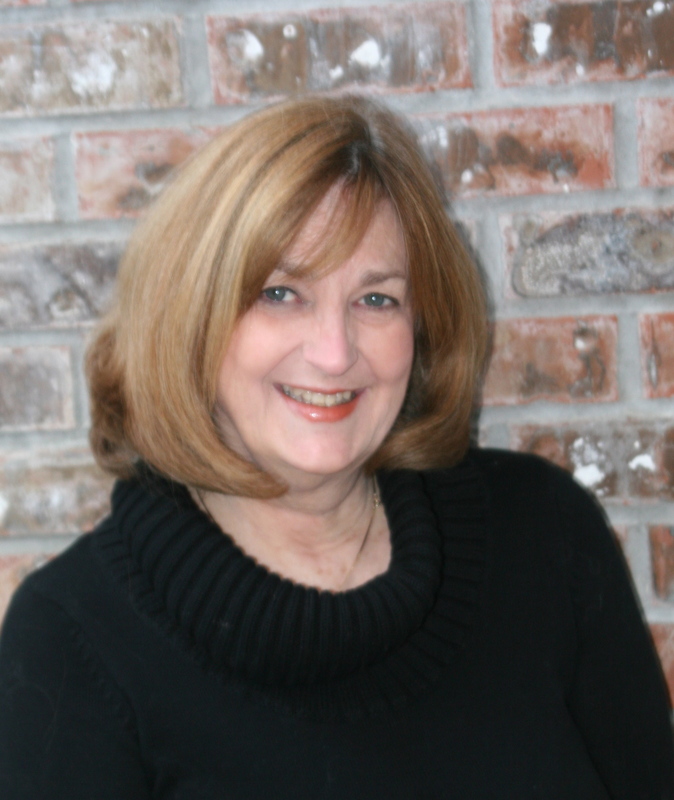 A year or two ago an author could take ten minutes and set up a KDP Select program (Kindle Digital Platform) and garner 6,000 to 4,000 or more free downloads of the book over the five free days and if she, or he, had a series, a slew of retail sales would follow. Back in 2014 I did this with 4500 free downloads of Caught in Time and subsequent hand clapping sales. To be fair, I also scheduled signing and book fairs which were expensive and exhausting. I wasn’t backed by a TOR publisher or on the New York Times bestseller list…which meant I had to do the work myself. Now, even that isn’t enough. Amazon’s Kindle Unlimited Program appears to have satiated the freebie market to a certain extent. After it’s introduction many authors noticed a drop in their KDP Select downloads, me included. (Kindle Unlimited sales, however, increased quite a bit) I have no hard data, just several comments by other authors that noted lesser downloads. Granted, each author makes his own way to find out how to sell best, but currently an overwhelming number of sites offer to advertise your book if you discount it, usually for one day and charge you for the ad…usually from $300 (depending on factors and genre) to $5.00. Be aware that these sites post your cover and blurb, then link to Amazon for the buy. Amazon pays them a fee for being an affiliate. You set up an Amazon KDP Select or Kindle Countdown program and pair it with ads..as many as the budget allows. A huge number of websites are hopping on this bandwagon as desperate authors are willing to severely discount their book and pay to advertise if it will boost sales and bump them up the bestseller chart. No one will buy your book if they don’t know it exits. At least, that’s the thinking. Then my program went off and I was down in the paid mob at Amazon again. Blog posts are lighting up suggesting which advertisers work and which ones don’t. Because if you spend $300.00 or even $70. You need to sell a lot of books to make it worthwhile, and usually the site requires the book be under a certain price or at least discounted by a given percent. That’s the draw for the subscriber. Most often, the book itself, the cover, and the genre determine the success of the program. Some of the programs are scams and you may never see the ad. Pirating is a growing problem. So be selective and do your homework. While many Indie authors are offering their books at cheaper and cheaper prices, the big publishers are going in the other direction. Agency pricing was the big contract fight between Hatchette and Amazon. Check out the new listings for books by established authors with major publishers. EBooks are running $10 to $15 dollars. Hardbacks are offered for preorder at $25 and $27 dollars. I’m shaking my head at the craziness of the book market while keeping an eye on what other media is doing. Sometimes they lead the way. Remember Napster? Think about Netflix. Let me know what you have found that works for you. Let’s compare notes. Are you ready for science fiction with transhumanism, a drug with a nano driven software platform that enables mind to mind control and big ethical questions concerning how far should science go? 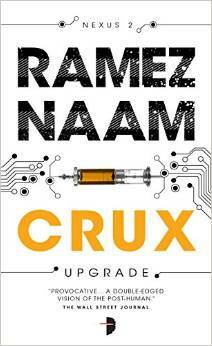 Then, you might want to read Nexus by Ramez Naam. Nexus is a Techno-spy thriller with kidnapping, murder, an undercover beautiful Homeland Security operative, and mind blowing science. When Kade Lane develops the experimental nano drug Nexus that can cause minds to link and read each other’s thoughts, U.S. Homeland Security gets involved and will do whatever it takes to shut the program down. But Kade has a vision of a transcendent, unified humanity while being aware of the dangers the drug poses if it falls into the wrong hands. The Chinese also are dabbling in Nexus and when Kade develops an even more powerful Nexus 5, capable of changing the very definition of what it means to be human, then he becomes a target for both the U.S. Government and the Chinese. Winning the Prometheus Award, the Endeavor, and selected NPR best book of the year, this book combines thriller like action with futuristic tech that asks big questions. How far should governments and society allow science to transform what it means to be human? We need to examine these questions as science is now outpacing regulations in many areas. We can already use mind control to move cursors on a computer and have shown the ability to clone animals. If you haven’t already, check out Kurtzweil’s newsletter for current discoveries. 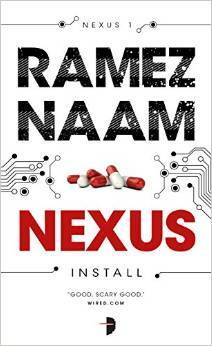 What will we do as a society if such a drug as Nexus gets developed? Do we offer it to everyone or totally stamp it out to protect ourselves? While the book has a exciting story, it also makes you think long after you put it down. p.s. 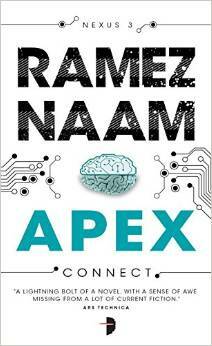 I explore a computer implant in a human brain in Someone’s Clone if that’s your flavor. I figure you must be almost as frantic as I am coming down the holiday home stretch. Overwhelmed with things to do and vowing not to nibble that second Christmas cookies or sip the third eggnog, (So yummy) I am noticing the pounds climbing alarmingly upwards on my scale. Or maybe you’re one of those cool-as-a cucumber types that has it all under control and smirk as we last minute shoppers scurry about. Either way, I’m offering a quick, cheap idea where you don’t have to pay postage or even leave the house and get mired in insane traffic. 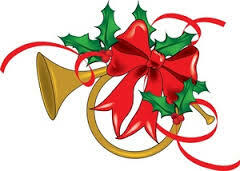 If your gift is a mobile device…Kindle, iPad, iPhone 6, enhance the gift with a few interesting free books. Start with Cosmic Entanglement, which is being offered free 12/22 through 12/24 and also 12/26 through 12/28. A limited time offer, it’s one of my favorites, and although third in my series, it can stand alone or be the first one you read. 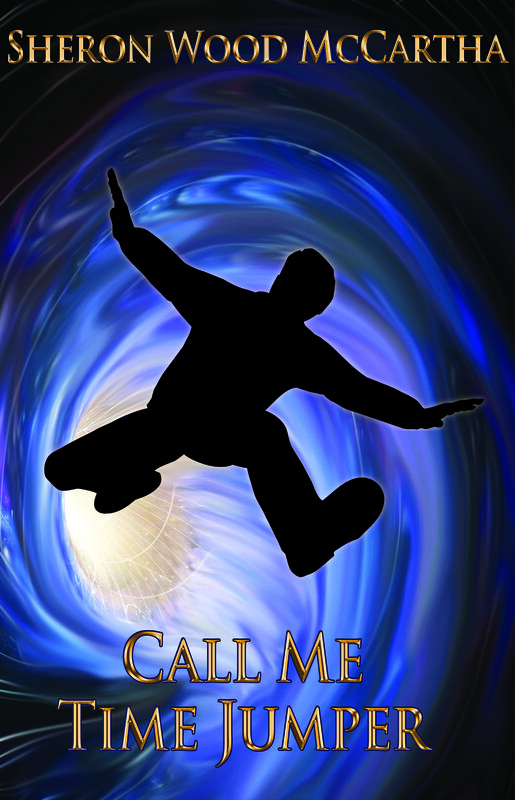 With time travel, you have that flexibility in your stories. This one is not heavy science…more of an Enders Game with a touch of James Bond. For more science in the area of space travel, Past the Event Horizon would be the choice. Even so, in several places I stretched the known rules of physics to support the story because, hey, we are learning new things about space every day. Yesterday’s speculations are today’s reality. To find other special offers, goggle for free books and a number of websites will pop up with a vast array of free and discounted books. 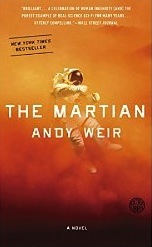 So, I am halfway through The Martian by Andy Weir. The story is basically a Robinson Crusoe on Mars told through first person using a journal. So, I don’t know if he survives or we’re just reading a left behind journal. That keeps up the suspense. What follows is the attempt to survive for four years until the next mission is due to arrive. For those that like hard science in their science fiction, the story will satisfy. Understandably, there’s not much romance or personal interrelationships. Not even a volleyball with a face to talk to. But the left behind astronaut, Mark Whatney, does reveal the roller coaster of emotions from despair to hope to brilliant problem solving. There’s a lot of chemistry as he tries to create water for his plants, but he spares the reader the heavy math. It’s a book that I put down after awhile, but then, I picked it back up to get a feel for what it might be like to live in such a different environment as Mars. Just a quick note that the reviews have nearly 4600 five star reviews, so a lot of people really like this one. Currently there are several experiments that address what it might be like to survive on Mars. Last year I wrote a blog that carried a link to David LeVine’s gripping experience in a habitat that attempted to recreate conditions that might be found on Mars. http://bentopress.com/mars/ David’s journal of his “Mars” experience. Mars is getting more and more notice as we gaze past the moon to what might very well be the next planetary body we visit. This book gives you a realistic taste if you can’t afford the ticket.